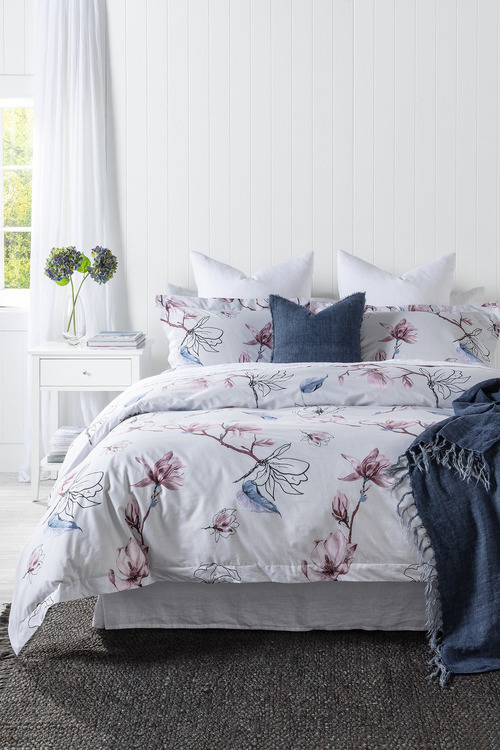 Bring a sense of ethereal, contemporary elegance to any bedroom setting with the Grandiflora Duvet Cover Set. In a delicate ash-hued print, this set is available in a wide range of sizes that will complement almost any interior theme. It's crafted from 250 thread count cotton, making it perfect for regular use throughout the seasons thanks to its easy-care, breathable and durable nature. Style yours with darker blue accessories for a welcoming look perfect for a refreshing night's sleep.